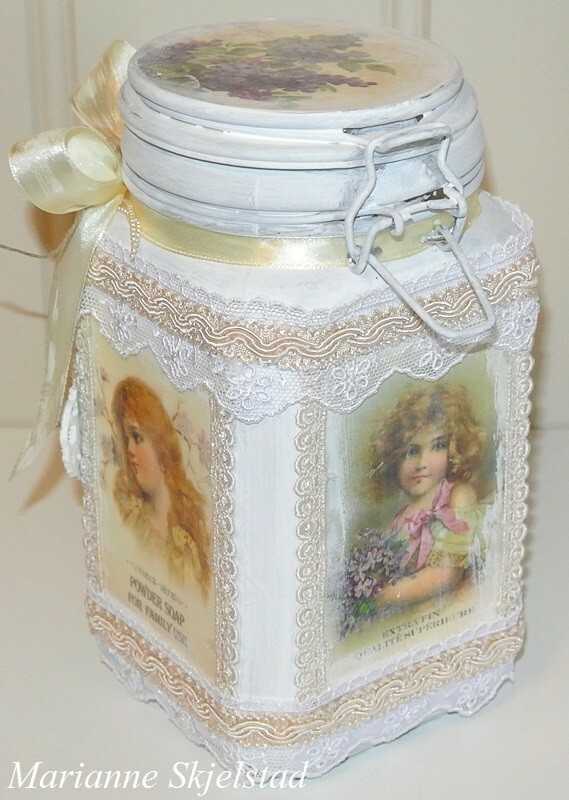 For this decorated glass jar I have used one of the beautiful images from the collection My Precious Daughter. 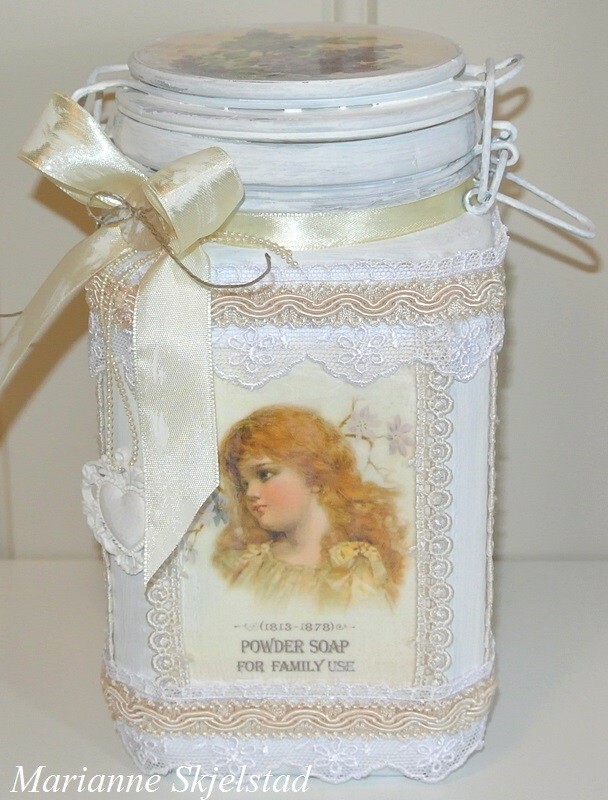 Besides the beautiful Pion papers I have used Gesso, ribbons and laces. This is truly beautiful, Marianne!! Love the images from this gorgeous paper! I have the My Precious Daughter papers and I surely do love them!